Item # 316025 Stash Points: 6,995 (?) This is the number of points you get in The Zumiez Stash for purchasing this item. Stash points are redeemable for exclusive rewards only available to Zumiez Stash members. To redeem your points check out the rewards catalog on thestash.zumiez.com. 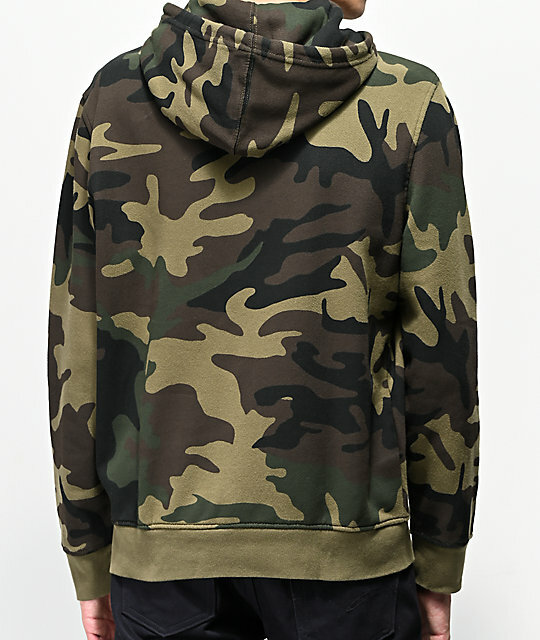 Layer up in a classic design from Levi's, with the Modern Housemark Green Camo Hoodie. 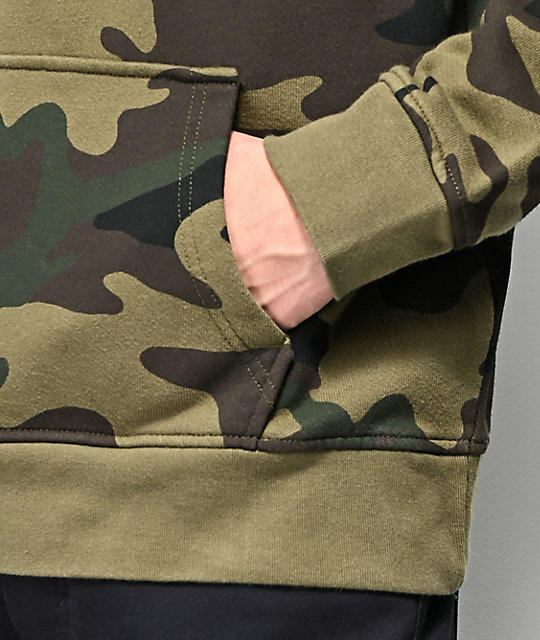 This comfortable layer features a green camo print throughout, and displays a bold, red, Levi's patch at the chest. 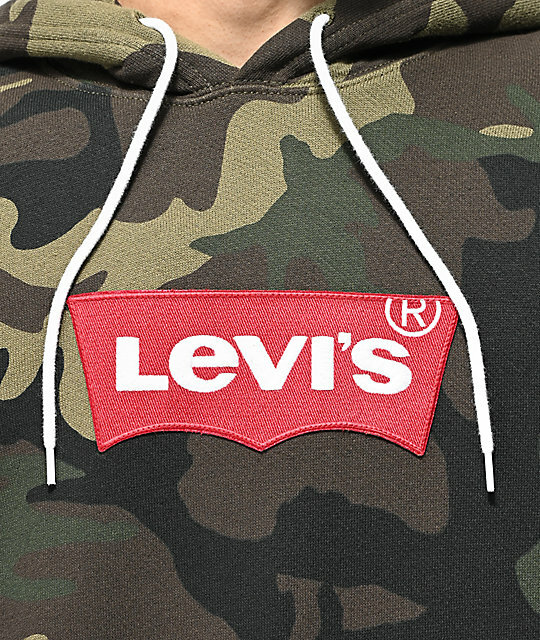 A relaxed fit, adjustable hood, and kangaroo pouch pocket offers warmth and comfort, while the overall design oozes signature Levi's style. 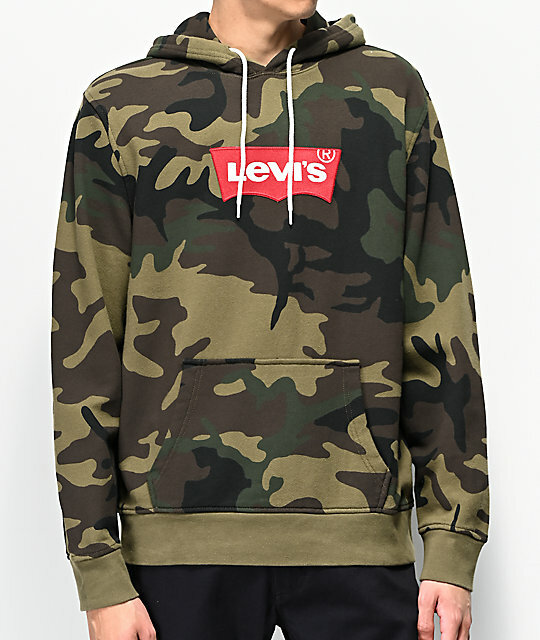 Modern Housemark Green Camo Hoodie from Levi's. Large logo patch at the front chest. Green Camo print pattern throughout.